There’s a foundation for every skin type and color. 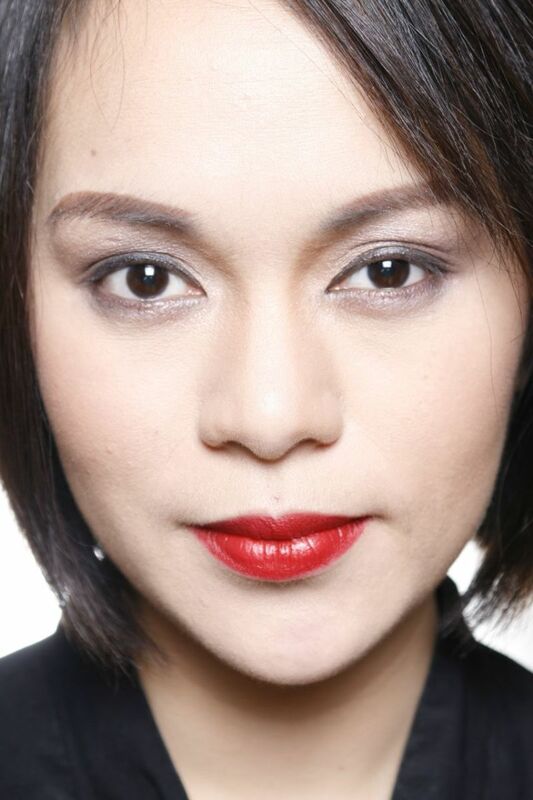 Most are capable of appearing natural while evening out skin tone and concealing minor blemishes. But with so many different products available, it’s hard to know which might work best for you, and how it should be applied for a flawless finish. Finding a shade that's right for your complexion is probably the most important first step if you want truly flawless results. Foundations are available for yellow, pink, and neutral-toned skin. Most women fall into the yellow and pink categories, with yellow being the most common. Yellow tones are referred to as "warm" and include beige, olive, sand, and bronze. Pink tones are referred to as "cool" and include ivory, rose, copper, and rose-gold. Be warned, however, that cosmetic companies sometimes vary the logic. For example, you may find ivory labeled as "warm" or sand as "cool." Use any of the three methods below to determine whether you're a cool or warm type. Stand before a mirror in a fluorescent-lit room and hold a piece of white fabric to your neck. If your face looks rosy or pink, your undertone is cool. If your face looks sallow, yellow, olive, or golden, your undertone is warm. Consider the colors that flatter you most. If you look good in pure white, pink, and pastels with silver jewelry, your undertone is cool. If you look good in green and brown with gold jewelry, your undertone is warm. If you look good wearing cool and warm colors, your undertone is neutral. Take a look at the inside of your forearm in daylight. What color are your veins? If they look blue or purple, your undertone is cool. If they seem more greenish, your undertone is warm. When buying a new foundation, test it on your jawline so that you can see how well it matches both your face and neck. It should correspond exactly with your natural skin tone and seem invisible against your complexion. With more transparent products, like tinted moisturizers and very light liquid foundations that allow your natural complexion to shimmer through, the shade you choose doesn't need to be an absolute perfect match for natural-looking results — it may be a tad lighter or darker. But the more opaque the product, the more accurate you need to be. Because tinted moisturizer and alphabet creams (BB, CC and DD) aren’t generally as opaque as regular foundation, they leave a more sheer, transparent finish. They won't cover blemishes, but they will even out skin tone. They’re great if you only want to accentuate your natural skin color, especially if you’re tanned. Because tinted moisturizer doesn’t settle into lines and wrinkles, it’s favored for mature skin. 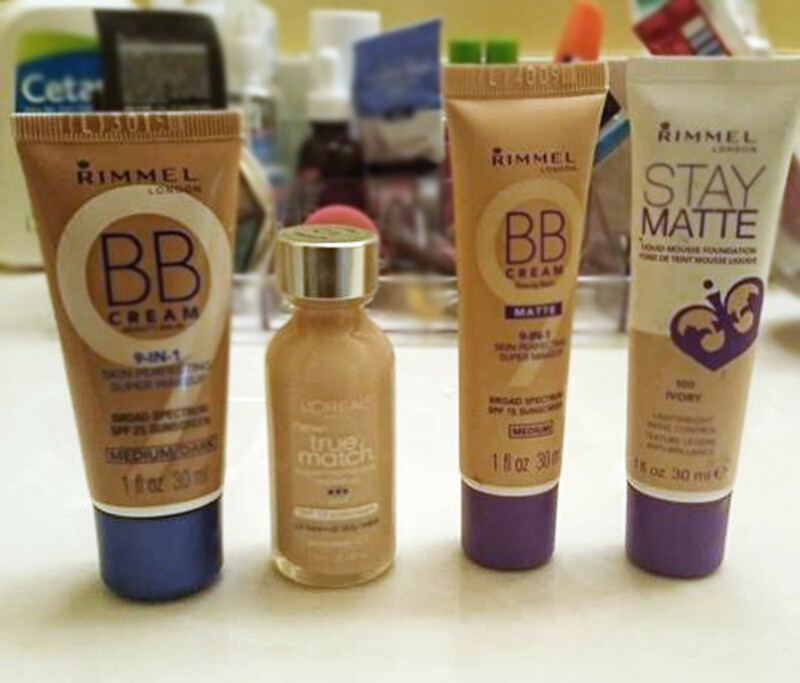 In case you're wondering what the letters of the three alphabet creams mean: BB stands for "blemish balm;" CC stands for "color correcting;" and DD stands for "dynamic do all." There’s a liquid foundation to fulfill almost every need, no matter what your skin type, or whether you want a translucent or more opaque finish. 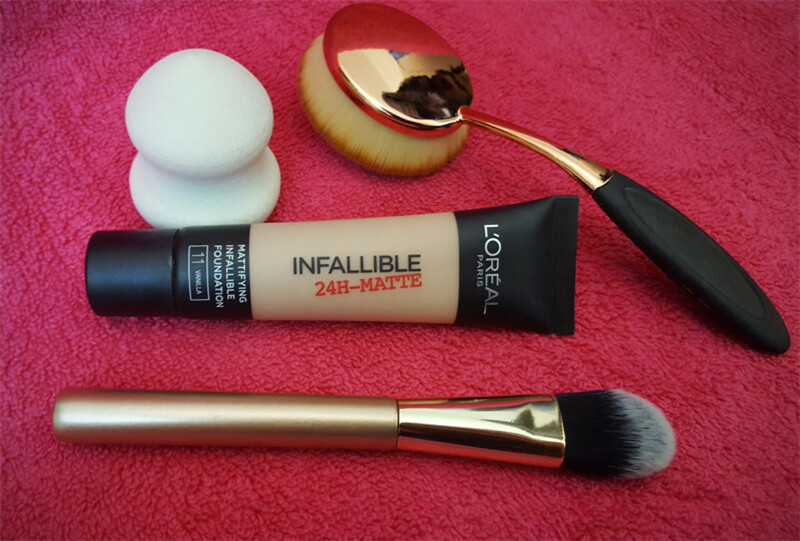 One of the main advantages of liquid foundation is that it provides buildable coverage and is easy to work with. 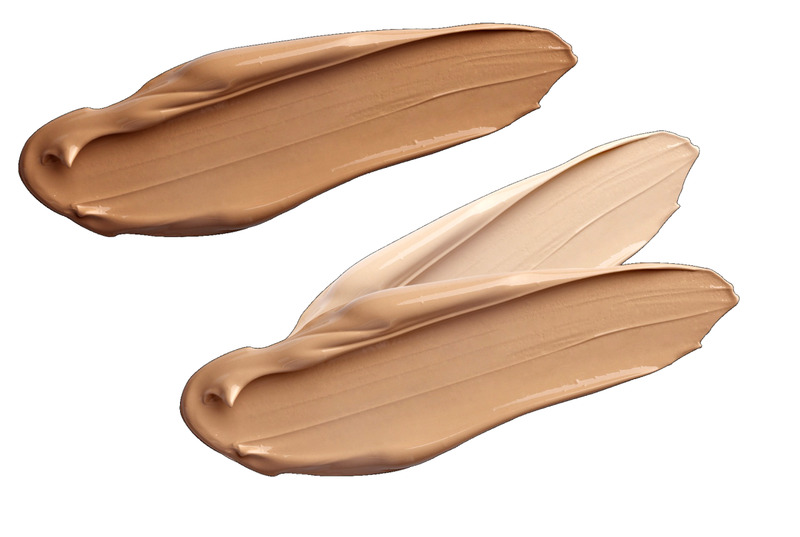 Cream foundation is highly pigmented and full of moisturizing agents to provide protection and good coverage. Choose this if your skin is prone to dryness, especially during the cold, winter months. Compact foundation is the most opaque and is ideal if you need full-coverage for hard-to-hide blemishes. It’s a solid product and usually comes in stick form or in a case. Compact powder foundation, which is sometimes labeled "wet and dry," is great if you’re in a hurry. You can apply it before your moisturizer has fully absorbed, and it won't need fixing with powder. But be careful — it can leave dry skin with a crepey texture, particularly beneath the eyes. Apply wet for maximal coverage, and apply dry if you only want to even out skin tone and take off shine. Cream-to-powder foundation combines compact foundation and powder. It goes on like a cream and dries to a matte finish. Like liquid foundation, it can be layered, and like compact powder foundation, it doesn't need powdering. Cream-to-powder foundations are mostly formulated for oily and combination skins, but there are some that are suitable for dry skin. It's also the best choice for enlarged pores. Available as a pressed or loose product, powder foundation is suitable for all skin types, save the very dry. It's quick and easy to apply, it doesn't need additional powdering to fix or take off shine, and one application can remain looking fresh for up to six hours. Recommended are mineral products, which do not settle into lines and wrinkles or clog pores. They also leave a slightly luminous finish for a healthy glow and contain a sun protection factor comparable to that of other foundation types. Powder foundation does not, however, offer much in the way of cover. Your foundation must match your skin tone exactly and seem invisible against your complexion. If you want to hide blemishes, like broken capillaries or brown spots, your foundation must provide good coverage. What you’re looking for is a product that allows you to use as little concealer as possible, since this tends to look "caked" if not used sparsely. Consider cream and compact foundations. If your complexion is relatively unblemished, you'll need only a light, translucent foundation that evens out skin tone and doesn't make you look "made-up." Best for you are light liquid foundations, powder foundations, tinted moisturizers, and alphabet creams. If your skin is dry or sensitive, it’s a good idea to use a product that hydrates and protects, like a cream or moisturizing liquid foundation. If your skin is very oily and acne-prone, you may need a non-comedogenic liquid or powder foundation for everyday application. Unfortunately, such products provide very little coverage, so you'll need concealer to hide blemishes. Alternatively, try a cream-to-powder or a "wet and dry" product. 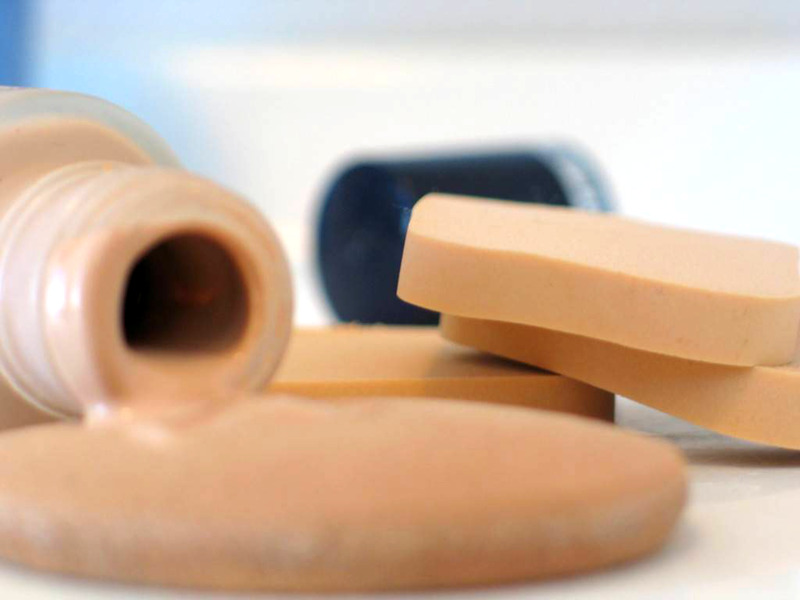 Consider how you want to apply your foundation — with your fingers, a sponge, or a brush. More on that below. Before you apply foundation, make sure your moisturizer has fully absorbed. Wearing a primer is optional, but it helps prevent foundation from settling into lines and wrinkles and makes it last longer. Primer also minimizes the appearance of enlarged pores. For optimal results, choose one that is formulated for your skin type. Only use silicone-based primers with silicone-based foundations. You can tell if a product is silicone-based by its list of ingredients. Silicone-based products contain compounds appearing near the top of the list with names that end with the suffixes -methicone (e.g. dimethicone or cyclomethicone) and -oxane (e.g. trisiloxane or silsesquioxane). If you want it to stay matte for longer, apply liquid, cream, and compact foundation with your fingers. First, deposit a small portion of foundation on the back of your hand — if you’re using a solid compact foundation, you’ll obviously have to work directly from its tube or case. Then, using your middle and ring fingers, apply to your face by patting on in light, feathery strokes. You should work downwardly from forehead to chin. If you work upwardly, the tiny hairs that cover your face will stand on end, leaving a mask-like effect. Depending on the desired finish, gently pat your foundation with a damp sponge to refine texture. Always use a good-quality sponge. It should have a smooth, skin-like surface. Sponges come in various shapes and sizes, but the wedge shape is the most convenient, especially because it allows you to get into awkward areas, like the inner-eye corner. In the same way as you would apply foundation with your fingers, deposit a small portion to the back of your hand, pick it up with the sponge and apply in light, feathery strokes working downwardly. With the exception of powder and cream-to-powder foundations, dampen the sponge with thermal water for a more sheer finish. 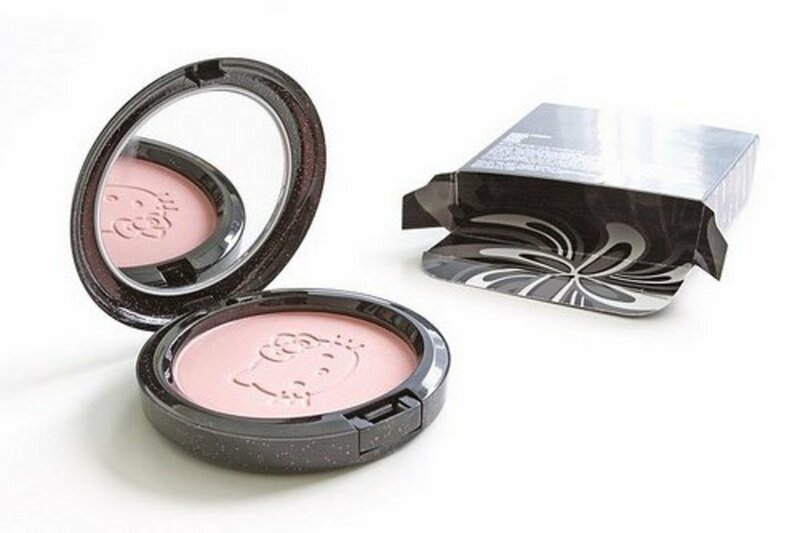 Compact powder foundation can only be applied with a sponge, either wet or dry. For best results, use quick, swiping strokes from forehead to chin. A brush can leave a flawless, almost airbrushed finish. There are two types of brushes — rounded and tapered. For best results, use the denser, rounded type. It's important that the bristles are synthetic and very soft. Natural bristles will absorb too much product, and bristles that are too stiff will irritate and damage the skin. Deposit a small portion of foundation on the back of your hand. Pick it up with one side of the brush only, and apply to your face in light, crisscross strokes working downwardly and outwardly. When you’ve worked the product over your whole face, go over it again in the same way with the other side of the brush, but this time without loading. This ensures a perfectly blended finish. Powder foundation is best applied with a kabuki brush. This resembles a powder brush, but is shorter and more tightly bound to provide fuller coverage. Due to its shape, it's sometimes called a "mushroom brush." To apply powder foundation with a kabuki brush, work outwardly from the center of the face, from forehead to chin, using feathery, downward-inclining circular strokes. Apply concealer beneath the powder rather than over it. The sheerer your foundation, the more natural it will look. Nevertheless, too sheer will leave a speckled finish. You can dot and spread your moisturizer, but never apply foundation in this way; it will leave a blotchy and somewhat "chalky" finish. If foundation settles into lines and wrinkles, press your middle finger lightly against your skin with a slight rolling motion to disperse it. If this doesn't work, blot gently with a Q-tip. 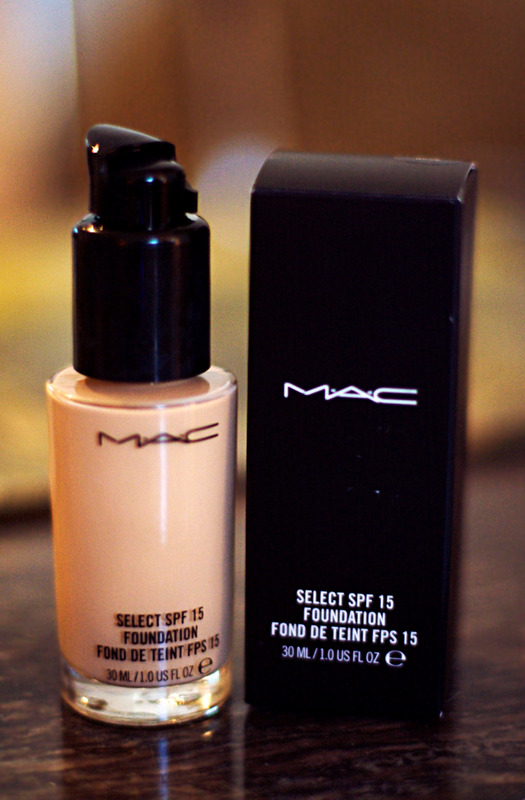 Foundation is the best primer for eye makeup and lipstick. Always deposit liquid and cream foundations on the back of your hand before applying. Do not deposit on your inner wrist or palm where perspiration may cause discoloration. Deposit loose powder foundation on a cosmetic tissue from which to pick up rather than applying straight from the container. This prevents the product from becoming lumpy. When your complexion gradually tans during the summer, mix appropriate portions of your winter and summer foundations to get a perfect match — this is obviously only possible with cream and liquid products. 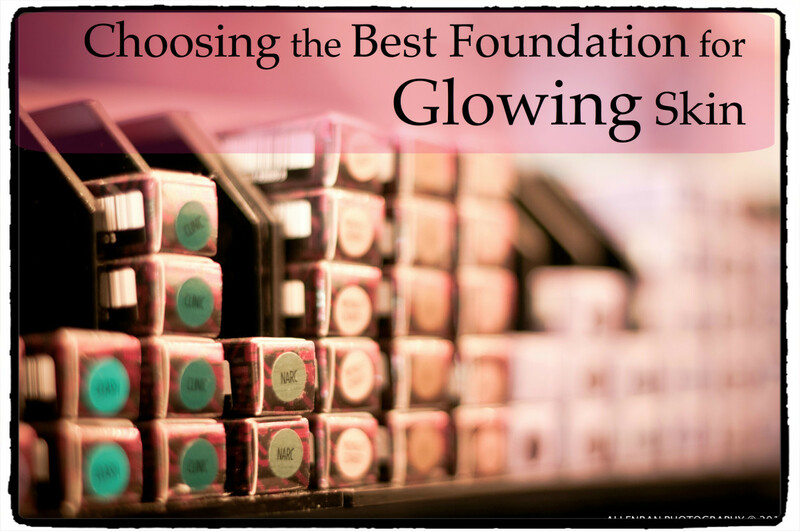 Make sure both foundations are of the same brand and formulation. Don't darken your complexion with foundation. It will look unnatural. Instead, use a self-tanner and then match your foundation or tinted moisturizer to your tanned skin. Perplexed by the MAC shading system? NW means "neutral warm" and is for cool undertones, and NC means "neutral cool" and is for warm undertones. In order not to confuse yourself, think of NW as "not warm" and NC as "not cool." Sorry, Moira, I've only just spotted your comment. I don't know how I could have missed it. You need to use primer to make your foundation last longer. Glad you found it helpful, Linda. Of course, make-up isn't always appropriate, and there doesn't seem much point to it if there's nobody about—the only cosmetic I use when I'm alone is moisturizer. I'm guessing you're over 30, in which case you'll find more helpful information on my hub 'Make-Up for Mature Skin', and if you're featuring in videos, your best friend is face powder. I've published a hub on that, too, called 'How to Apply Face Powder'. Thank you for coming by, Linda, and don't hesitate to ask if you've got any questions. Very helpful article, thanks... because I don't often use makeup but during the last few months have been making YouTube videos, and I want to apply makeup for some of them. Partly because my lifestyle as a mountain woman in a remote area of a big forest didn't include a need for makeup, I've never learned how to do it correctly. Prior to that I was a hippie, and well, makeup wasn't my thing. Thanks so much for filling in some of the blanks for me! My skin tends to absorb foundation, within an hour you can't tell I have any on, any tips on getting it to stay longer? Max Factor's Pan-Cake Make-Up does still have its place for many women, and is the right product for them. But we do have so much more choice nowadays, thank goodness. Yes, you're right; always cleanse before going to bed. Thanks for the feedback, Chris! Jayne: Will try it, thanks for the tip! You mean under the foundation? Have you tried a cream foundation? Although it's less available than it used to be, you can still get hold of it, and I suspect it might be the better option for you. 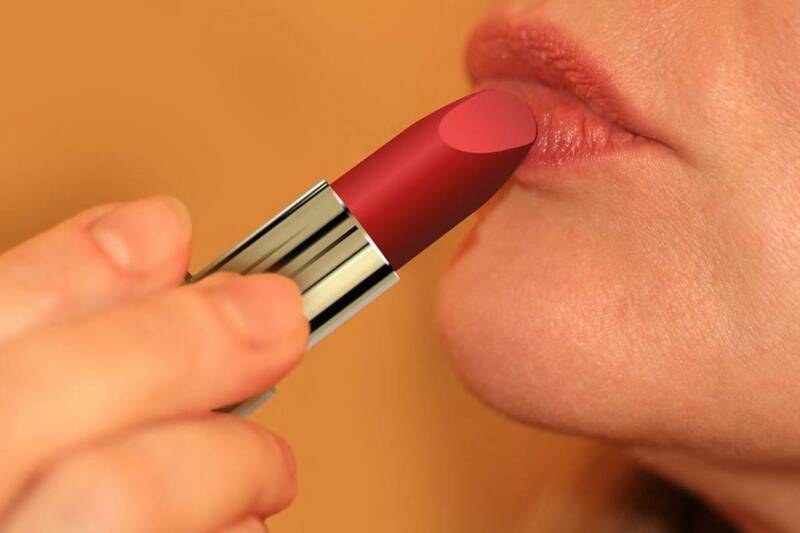 Try to get a sample from a department store or your next beauty product supplier. Jayne: This morning I applied my foundation the way you suggested, and now reading your reply I understand! I notice when I add a little mineral oil or moisturizer to the foundation my skin looks healthy. Thank you, VioletSun. Well, they say we all get found with time through the search engine. Let's hope it's true. Yes, it does make a difference whether you apply upwardly or downwardly. Our faces are covered with very fine hairs that grow downwardly, therefore we work in the same direction. Working upwardly will cause the complexion to appear grey; same goes for powder application. And always work in sections for a smooth finish. Foundation dries quickly, so applying as we do moisturizer will result in an uneven finish. And applying before the moisturizer has full absorbed will thin the foundation, making it more transparent. A better way of thinning foundation is by mixing it with toner. But never mix with tinted or untinted moisturizer, since the substances are not compatible. Hmmm, perhaps I should have included these points in the article. Thank you very much for asking, VioletSun, and for coming by! These are very good tips! I hope more readers find you in Hubland as your articles are always helpful. One question, is it okay to apply foundation from the chin up? I notice you suggest to apply it from the forehead down to the jaw. Does it make a difference?